2014 June 18: A Must-Have for All Book Lovers! Gone Reading for the Summer! A Must-Have for All Book Lovers! 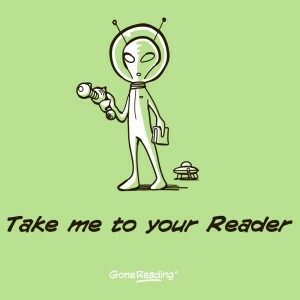 Original book and reading-themed t-shirts from GoneReading! 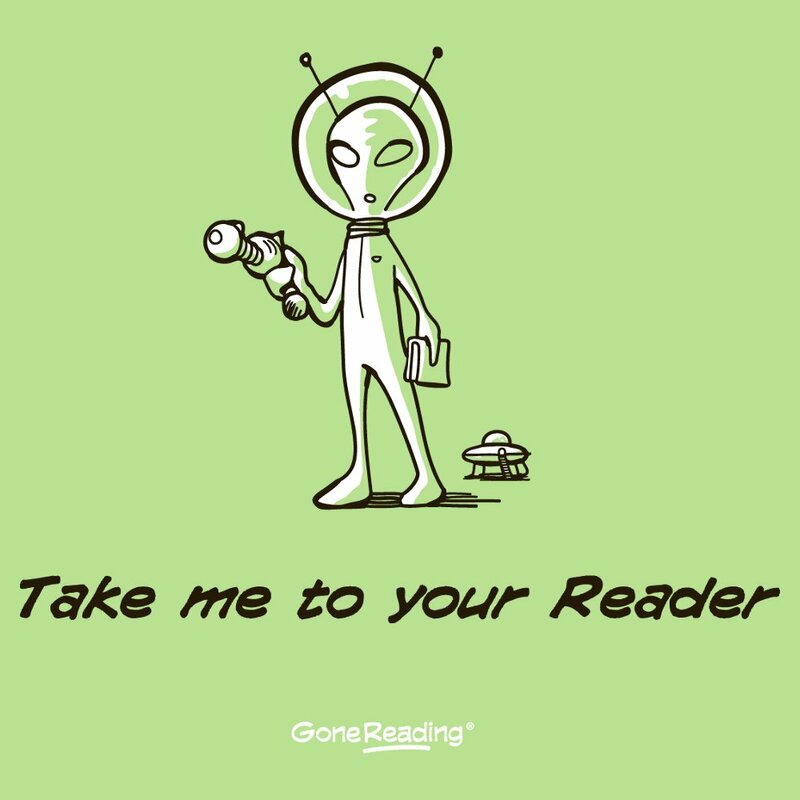 These t-shirts empower you to “shout out” your love of reading to the world. 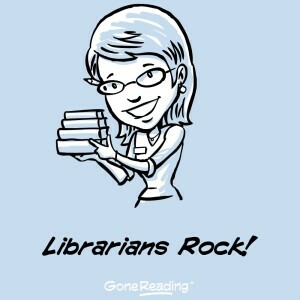 Each shirt features a clever design and slogan to reflect a particular aspect of the reading lifestyle. Only readers will know the inside joke! 100% cotton, 100% Money-Back Guarantee. I received one of these shirts and it is my favorite new t-shirt for the summer! 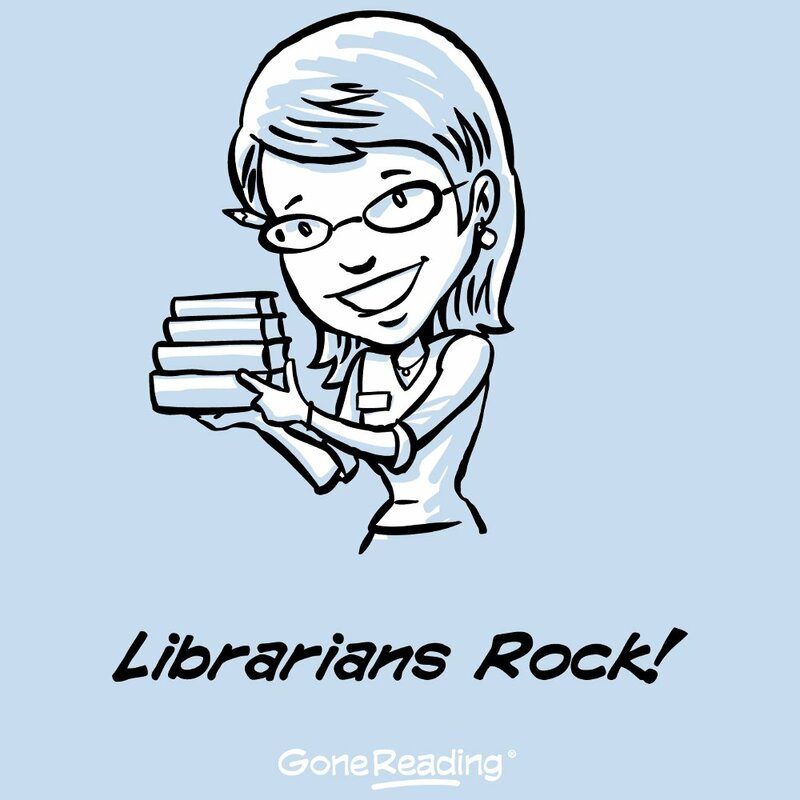 I love the image, color and it’s just “so me!” I absolutely love to read and so this t-shirt in my view, shares my love of reading. 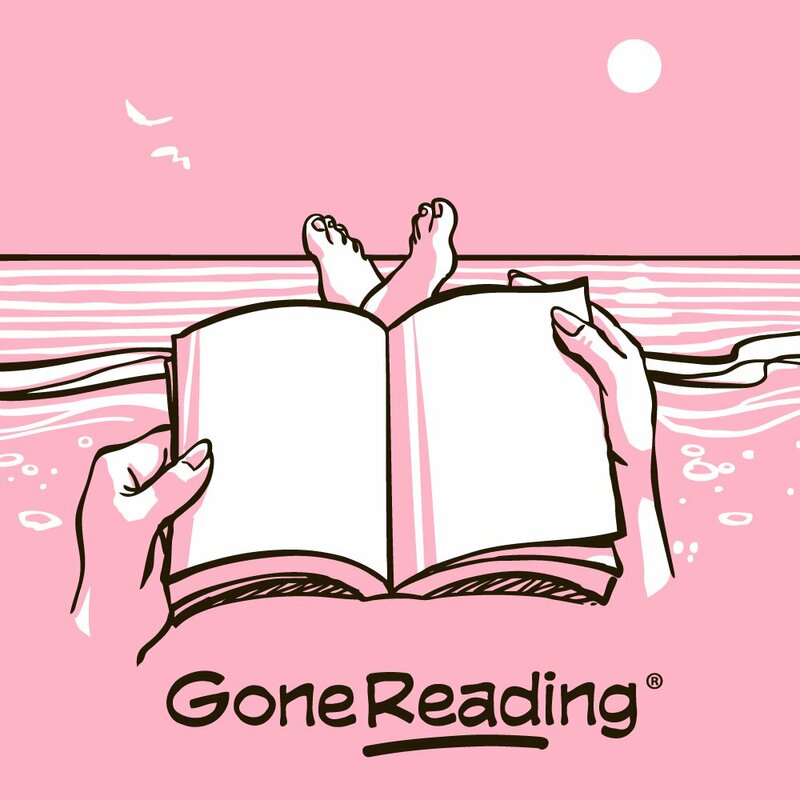 This graphic just makes me think of summer and reading so it’s just perfect! There are other images available too! There really is a t-shirt just perfect for every woman, man or child! I just love looking at all the products on their website for readers. 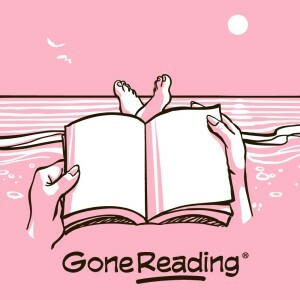 GoneReading is a social enterprise that has pledged 100% of after-tax profits to fund reading related charities in the developing world. Our funding recipients include non-profits READ Global and Ethiopia READS. We have teamed up for a giveaway! One winner will win their own shirt! To enter, leave a comment below telling us your favorite type of book to read. Next, like the Gone Reading Facebook page! Deadline to enter is June 25, 2014 at noon. One winner will randomly be selected from all entries. ICU EYEWEAR for Reading! Also make great Graduation Gifts! Do you need Reading Glasses? I do and it is tough to find stylish ones that are also high quality. Well, that is no longer a problem for me since I have discovered ICU Eyewear. Looking for readers that are unique, stylish and innovative? Find a happy medium between contemporary style and classic sophistication, with great readers from ICU Eyewear. These frames are more than just another pair of readers but, an unique style that stands out in the crowd and make for a truly special gift! 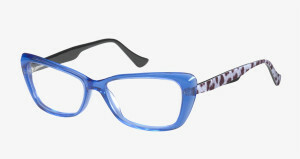 I received the Cat Eye Animal Temples in Blue and the Women’s Oval Floral Pattern styles and I love them both! They are stylish and the Cat Eye Animal Temples are my favorite! They are made of Acetone and are high quality. They don’t seem flimsy at all! Most reading glasses that I have tried in the past do not last long because they aren’t very durable. The Cat Eye Animal Temples retail for $54.95. The Women’s Oval Floral Pattern style is very pretty and made out of plastic but also seem to be durable and they retail for $23.95. I just love all the variety of styles! They also have Reading Glasses for Men and my husband received the Men’s Acetate Rectangle style in Slate/Brown. They retail for $54.95. My husband quickly told me that these are the best reading glasses he has ever owned! He loves the quality and that they are comfortable. Check out these and many other styles at ICU Eyewear! They really are a Must-Have! Self Disclosure: I received free Reading glasses to facilitate this feature but any opinions expressed are my own. I’m not the best at Yoga but I do try and I really enjoyed teaching my son at a young age. Now, does he still do Yoga? Well..no (He’s 10 now) but hope to get back to teaching him again soon. Hello, Bali is a delightful book for younger children and I love that it even includes a list of kids yoga poses. Even those who are not familiar with yoga, will be able to learn these poses. 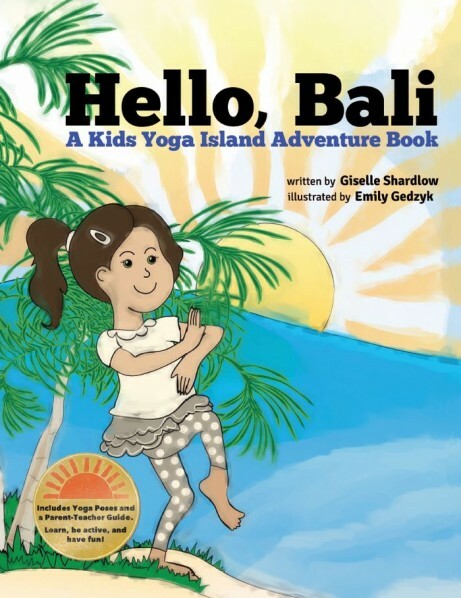 It’s a fun book for kids and they will enjoy following Anamika (one of the Yoga Kids) on her adventure in Bali, Indonesia. I also love that it is an educational book and includes a Parent-Teacher Guide and even a Map of Bali. My son enjoyed checking out the map. Best for younger children ages 2-5 but can also be appreciated by anyone who likes yoga. Highly recommend this book. You can find it at Amazon.com. Ringling Bros. and Barnum & Bailey presents “Legends” Giveaway Opportunity! Who wants to go to the Circus? We have teamed up with our friends at Ringling Bros. and Barnum & Bailey for a summer time giveaway! We have two weekday vouchers to give away to one winner! See all the info in our Featured Events! 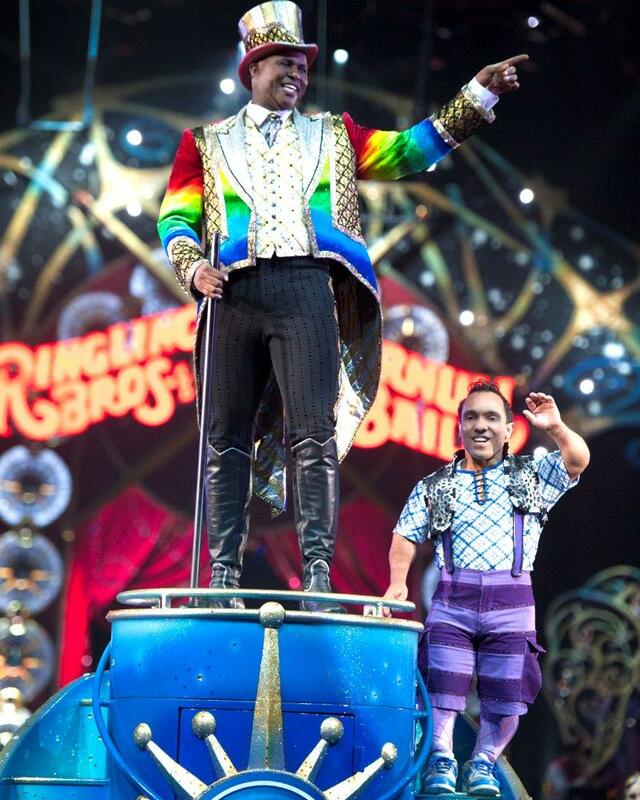 Leave a comment below telling us your favorite thing about the Circus! Deadline to enter is June 26, 2014 at noon! One winner will randomly be selected from all entries! Self Disclosure: We received two weekday vouchers for free for this giveaway. 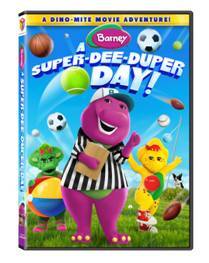 It’s a Tee-Riffic day for friends big and small as they celebrate the summer with Barney® in the all-new movie Barney: A Super-Dee-Duper Day available only on DVD July 15, 2014 from Lionsgate and HIT Entertainment. Retails for $9.98. We have teamed up for a giveaway! One winner will win the DVD! To enter leave a comment below telling us a fun summer activity with your kids! Nest, “like” the Barney Facebook Page (link above!) Deadline to enter is June 24, 2014 at noon. One winner will randomly be selected form all entries. Self Disclosure: No compensation has been received to facilitate this feature/giveaway. 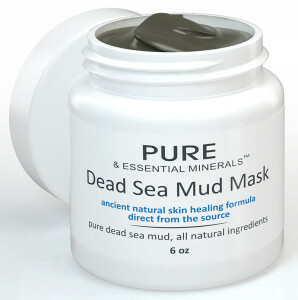 Pure & Essential Dead Sea Mud Mask All Natural Ingredients! I love how this mask gently exfoliates and leaves my skin feeling soft. It’s simple to use and washes off very easily, not like some other mud masks I have used in the past. I also like that it is not rough on my skin. I’ve used it for over a two week period and although I don’t notice major results, I do notice that my skin feels softer and less oily on my forehead and nose. It is great to see these results after two weeks. I also have sensitive skin so tha fact that this works great on my skin is a real plus. I do recommend this one and even my husband tried it and likes it. Details about the product provided by Pure & Essential Minerals. WE USE ONLY THE PUREST INGREDIENTS – Why compromise your health with products that contain chemicals? 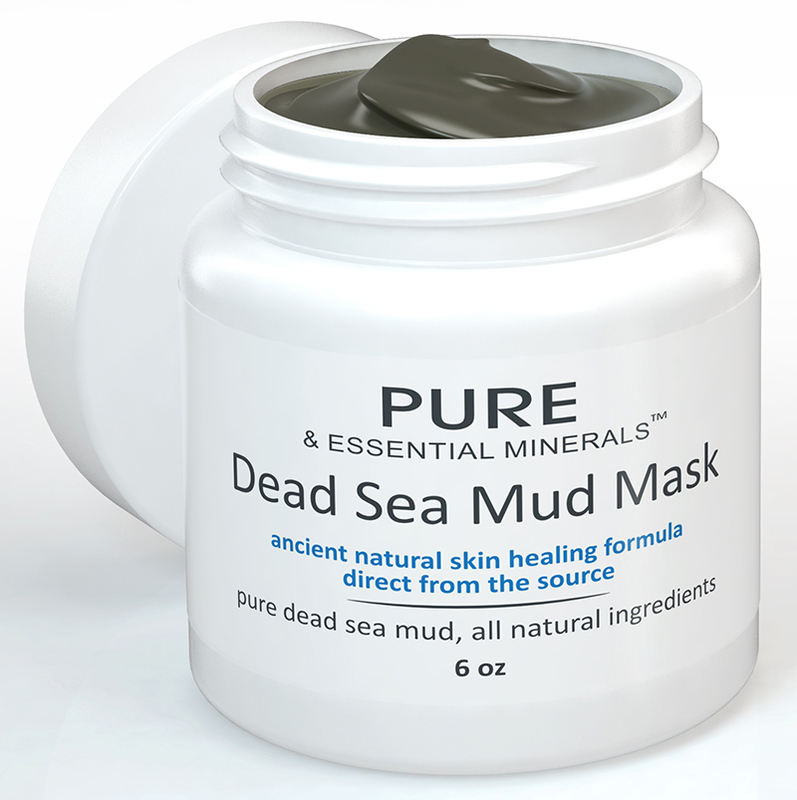 Our Dead Sea Mud Mask contains only 100% pure, natural and certified organic ingredients – free of sulfates, phosphates and parabens. cruelty free, vegan certified.